Research on urban ecosystems rapidly expanded in the 1990s and is now a central topic in ecosystem science. 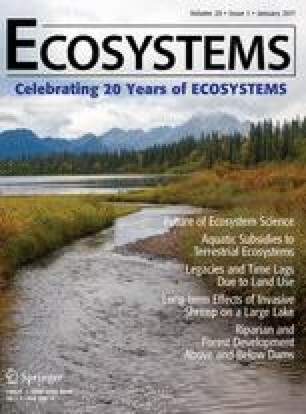 In this paper, we argue that there are two critical challenges for ecosystem science that are rooted in urban ecosystems: (1) predicting or explaining the assembly and function of novel communities and ecosystems under altered environmental conditions and (2) refining understanding of humans as components of ecosystems in the context of integrated social-ecological systems. We assert that these challenges are also linchpins in the further development of sustainability science and argue that there is a strong need for a new initiative in urban systems science to address these challenges and catalyze the next wave of fundamental advances in ecosystem science, and more broadly in interdisciplinary and transdisciplinary science. Peter M. Groffman wrote the first draft of the paper based on input from numerous colleagues in the Baltimore and Phoenix U.S. National Science Foundation Funded Urban Long Term Ecological Research projects. Other authors reviewed the manuscript and provided text on specific aspects. The authors acknowledge support from the NSF Long Term Ecological Research Program for work in Baltimore (DEB-1027188) and Phoenix (DEB-1026865), from the NSF Urban Resilience to Extreme Weather-related Events Sustainability Research Network (URExSRN; SES-1444755), and from the NSF Urban Sustainability Research Coordination Network (RCN-1140070).